Posted on 6, September 2016 by EuropaWire PR Editors | This entry was posted in Apparel, Fashion & Beauty, Germany, Management and tagged Beiersdorf, open innovation, Pia Rücker, “PEARLFINDERS – We Open Innovation. Bookmark the permalink. HAMBURG, 06-Sep-2016 — /EuropaWire/ — Beiersdorf is dedicated to expanding its open innovation activities under the umbrella of PEARLFINDERS: In search of new technologies, the NIVEA manufacturer is expanding its collaboration with the global open innovation Network Innoget. In this context, the company’s own innovation platform TRUSTED NETWORK is being presented with its own profile on the Innoget portal, where companies can make contacts in the scientific community and in industry in a confidential and protected environment. Since April 2014, Beiersdorf has been using the internet platform Innoget for expanding its open innovation network. Since then, successful calls in the segment “Technology Scouting” have been regularly made public using this platform. “We have now received a considerable number of interesting offers and have gotten several promising opportunities for cooperation started”, reports Pia Rücker. With the now even closer collaboration with Innoget, Beiersdorf Research & Development is consciously focusing on scouting new technologies – also beyond cosmetics. The open innovation activities of Beiersdorf are collected under the motto “PEARLFINDERS – We Open Innovation”. 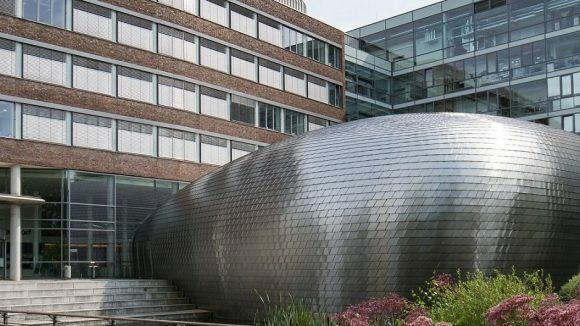 In addition to maintaining the network and strategic partnerships with leading research institutes, universities and suppliers, Beiersdorf has systematically expanded its activities in this area in recent years. A central element since 2011 is the open innovation platform TRUSTED NETWORK (trusted-pearlfinders.beiersdorf.com). Other open innovation formats from Beiersdorf include, for example, in-house events like the Supplier Fair and the Formulation Academy, at which select innovation partners present ideas and trends. The internet platform Innoget is a global open innovation network for innovative companies and scientists. Founded in 2007, it offers a simple and secure opportunity to make trustworthy contacts, initiate projects together and to share knowledge about technologies as well as in disciplines like biosciences, chemistry, engineering and IT – with guaranteed protection of intellectual property. The Innoget user community consists of thousands of specialists in their fields who receive free access to both technology requests and offers published by internationally active organizations from the scientific community and the business world. Behind it is the conviction that cooperation with external partners as well as shared developments and projects is necessary for innovation.